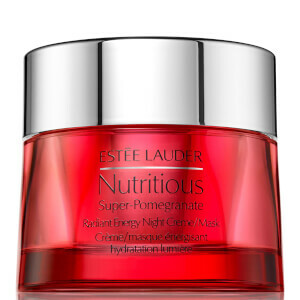 Treat skin to the protective and replenishing properties of Estée Lauder Nutritious Super-Pomegranate Radiant Energy Moisture Crème. Powered by a Super-Pomegranate Complex with 2X Pomegranate concentrate, the intensely hydrating moisturiser utilises Pure Essence of Mediterranean Pomegranate harvested from the pristine Mediterranean basin. Once sourced, the Pomegranate undergoes an 8-step whole-fruit cold-solvent extraction process to preserve its power and potency for maximum efficacy. 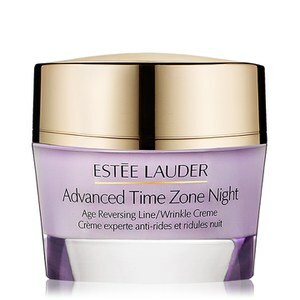 Delivering protective and antioxidant benefits, the cream provides all-day moisture while gently detoxifying the complexion. 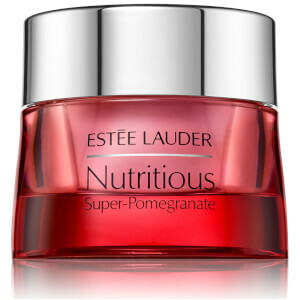 Also contains patented Super-Berry ferment, essential vitamins and minerals. 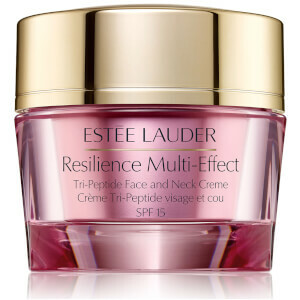 Skin is left feeling deeply hydrated, plump and glowing. Påfør på ren hud morgen og aften.